What is it you think of yourself? What is it you believe of yourself? It’s not always easy to remember, that your thoughts become things or your beliefs can be changed for your highest good but they do, and they can! If I think I am “…..”, I AM! If I think I can’t do “…..”, I CAN’T! If I want to “…..”, but think I can’t, then I WON’T! It all begins with your very own will, that’s right. So why not then, write your own belief script and make it your daily mantra or saying. If I think I can “…..”, I WILL! If I think I can “…..”, I CAN! Remember you can win this. Why? Because you THINK you can. So what are you going to believe now? 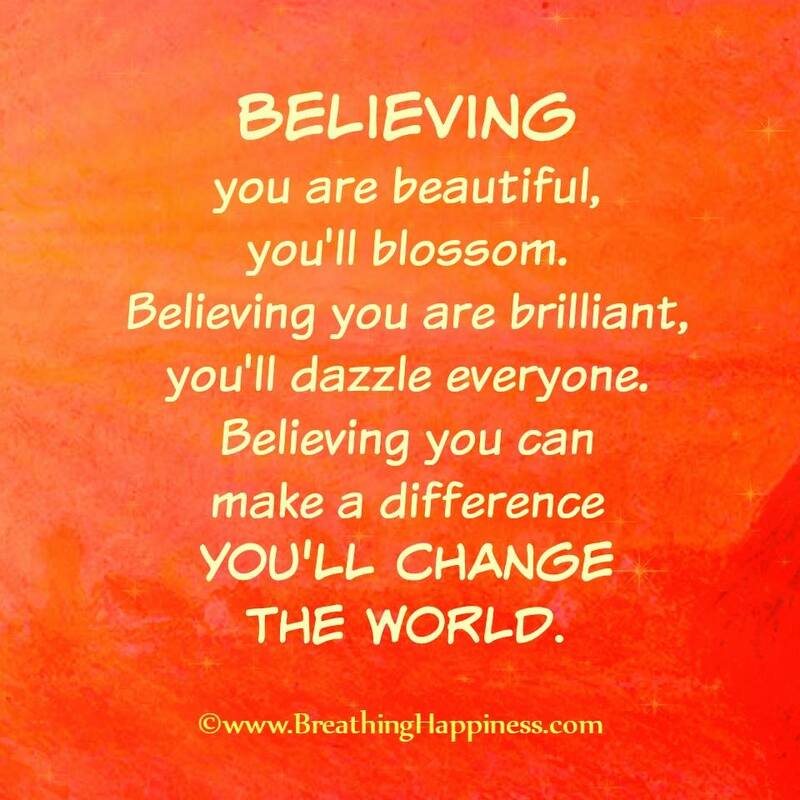 For it makes a HUGE difference what you choose to believe! Know that I would love to here from you anytime about what has shifted, what has changed for you with the way you think and believe now of yourself. Have fun believing in you, for I surely do! < Previous Have a little faith! Next > Are you wondering? Yes “I am” is the strongest thought you can have, for you have no doubt. Doubt, (fear) can be your first thought about a subject. This fear will override your prayer of success, shows lack of faith, always pray in the affirmative and all prayers will be answered as God knows your needs before you confirm them. Thanks Terry for your awesome comment and I totally agree the “I am” statement is one without doubt! God most definitely does know what we want before we even think it! Bless and thank you! ThereseElizabeth.